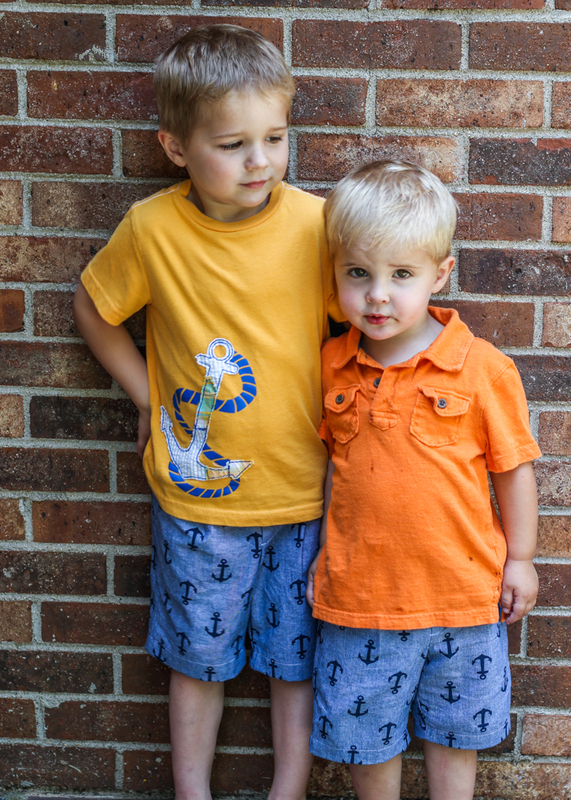 A quick little photoshoot today to show you my first kid’s clothes week makes- two pairs of sketchbook shorts. 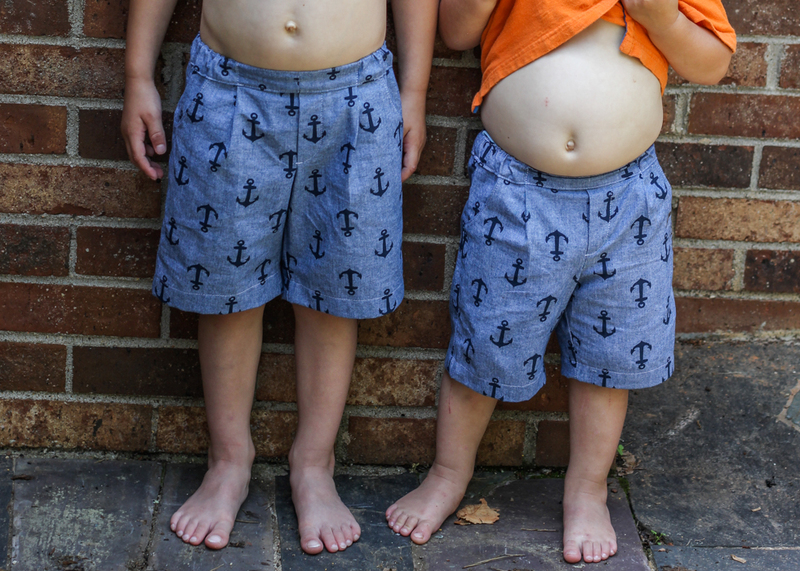 I’ve had this oliver+s pattern for several years and I’ve made the shirt a few times (blogged here) but I never really gave the shorts a second glance until I saw these two versions from gail and tara…I mean, how could I not try this out after this cuteness?? Another item worth mentioning is that the more I sew, the more I enjoy using oliver+s patterns. They are just such an enjoyable experience all the way around- so well written and you end up with such a professional-looking garment. These shorts in particular are such a quick and easy sew that I highly recommend them. I picked up this chambray anchor fabric at five-eighths seams back in January when I tagged along on my husband’s business trip to Charleston…sigh… I could use another one of those business trips now! Anywho I’ve been saving this for the right project and these shorts were definitely the right choice. One comment I would have on this pattern is it seems to run pretty long. Which is kind of funny because I thought the shirt version ran a little short. Oliver is pretty tall but skinny so I made him the 3T even though he’s typically a 4- and even then I deepened the hem a bit to have them hit where I wanted them to. Eliot is wearing a 2T and I cut about an inch off the bottom of his and also sewed a deep hem. Eliot wears cloth diapers so I sometimes have problems with shorts being too tight in the bum area but these turned out pretty good for him. Not a ton of extra room but they aren’t too small either. Oh and in case you were wondering there’s some Dr. Seuss fabric hiding in those pocket linings- this little trick is making all my recent handmades get worn a ton! And Eliot has been asking for some “grinch pockets” so I’m happy he got himself some finally. 🙂 I’ve got the sewing bug for this Kid’s Clothes Week so I’m excited to see what I can pull off- fingers crossed for happy naps and quiet times this week! 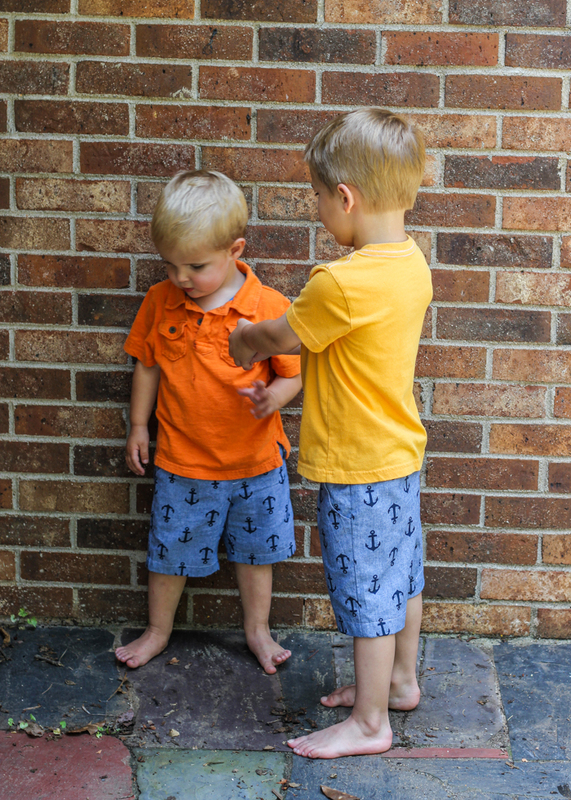 This entry was posted in Kid sewing and tagged kids clothes week, oliver + s patterns, sketchbook shorts by oliver's fancy. Bookmark the permalink. couple of cuties!! 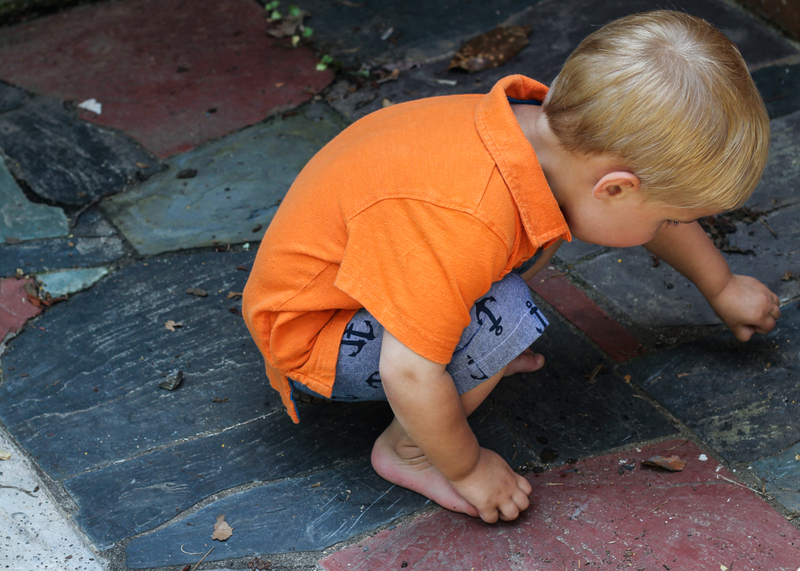 i agree that these shorts run a bit long when i’ve sewn them…yours turned out so great! Thanks- they can be such cute goobers right now 😉 and I’d much rather a pattern run long than short- so much easier to deepen the hem than try to add some length after the fact. These look brilliant, I love that fabric! Also the Dr Seuss pocket addition is genius! It’s funny these come up long as I’m making another pair of Oliver + S Sunny day shorts & forgot that I found out last year they come up quite short. Thanks! The fabric is just so good. And yes I forgot about the sunny day ones being short. I had to add length to make them work for the boys on the pairs I made earlier this year. Funny how that all works out!